As modern medicine increasingly commits to a reliance on automated devices and machines in the treatment of certain illnesses or physical issues, sometimes the equipment can be linked with serious or even fatal problems. Such is the case with a machine called the Sorin Stockert 3T heater-cooler system, which is designed to raise or lower the temperature of a patient, based on warming or cooling blood that is being circulated through a heart-lung machine used during cardiopulmonary bypass. In 2015, the FDA issued a national safety communication regarding heater-cooler devices, which have been linked to dozens of nontuberculous mycobacterial (NTM) infections in patients. The FDA issued an additional safety communication in June 2016 specifically noting Sorin’s Stockert 3T heater-cooler system had been directly implicated in the development of NTM infections in patients who had undergone open-chest cardiac surgery. On October 13, 2016, in an update to its June 1, 2016, Safety Communication, the FDA provided additional information regarding Mycobacterium chimaera (M. chimaera) infections occurring in patients who had cardiothoracic surgeries in which the Stockert 3T Heater-Cooler System (3T) was used to warm or cool their blood. Of particular importance, the update supplies recommendations for health care professionals to assist in prevention of the spread of infection related to this heater-cooler device. To review the complete list of recommendations, click the link to see the updated FDA Safety communication. 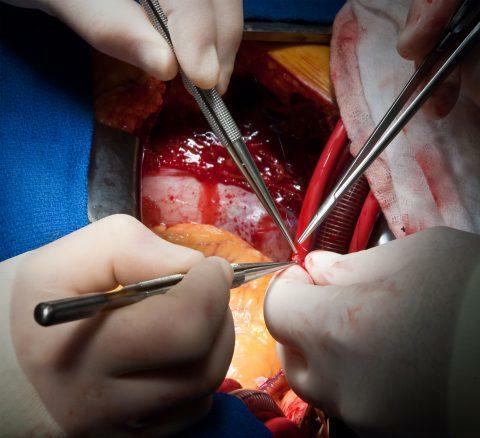 Weitz & Luxenberg is currently taking cases of patients who have had open-heart or chest surgery and developed non-tuberculous mycobacterial infections afterward. Patients suffering from these complications may have cause to pursue litigation, and Weitz & Luxenberg would be honored to fight on your behalf. Mycobacterium chimaera (M. chimaera), a type of nontuberculous mycobacteria linked to Sorin Stockert 3T heater-cooler devices can cause infections that at one hospital has carried a mortality rate of 50 percent in affected patients. Heater-cooler devices are intended for use in patients undergoing surgery involving cardiopulmonary bypass lasting six hours or less. According to a brief prepared for an Advisory Committee held in June of 2016 discussing NTM infections associated with heater-cooler devices, the FDA noted it has received 61 medical device reports from around the world and within the U.S. in which patient infection was reported as potentially related to a heater-cooler device and 119 others in which device contamination was identified. Because of its potentially lengthy latency period, NTM infection may be difficult to diagnose because it can take months to years after initial exposure to manifest, sometimes with lethal results. As details of the infections become more widespread, a handful of patients have begun to seek compensation by pursuing civil suits against Sorin, which makes the Stockert 3T heater-cooler system, with more expected to be pursued in the future. According to a fall 2016 story in the Philadelphia Inquirer, 20 patients who underwent heart surgery in Pennsylvania have been diagnosed with nontuberculous mycobacterial infections linked with heater-cooler machines used during surgery. The national firm Weitz & Luxenberg has won millions in compensation for clients left injured by faulty medical devices over decades of practice. If a family member has been harmed or killed by a bacterial infection after undergoing cardiothoracic surgery requiring cardiopulmonary bypass in which they were exposed to a Sorin Stockert 3T heater-cooler system, please call (855) 736-6930 or fill out our form for a free consultation. To speak to an attorney today about your legal needs, please call us at (855) 736-6930.